Deal Shopping Mama: Michael Kors Men's Down Jacket-$67 Shipped! 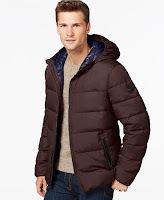 Michael Kors Men's Down Jacket-$67 Shipped! Head HERE to see all the Coats and Jackets on sale!